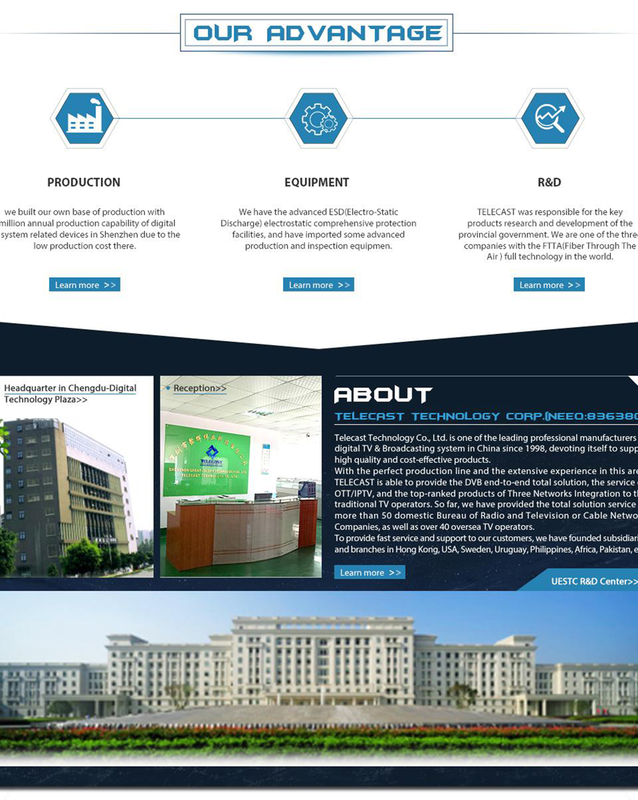 Telecast Technology Co., Ltd. is one of the leading professional manufacturers of digital TV & Broadcasting system in China since 1998, devoting itself to supply high quality and cost-effective products, as well as solutions to our respectable clients all over the world. We have independently-developed Conditional Access System, which has been integrated by over 20 professional STB manufactures in China. And the most amazing achievement is that there are over 6 million STB embedded our CAS working online. Our company has a strong and advanced R&D team, consisting of professional engineers and designers with a wealth of experience. 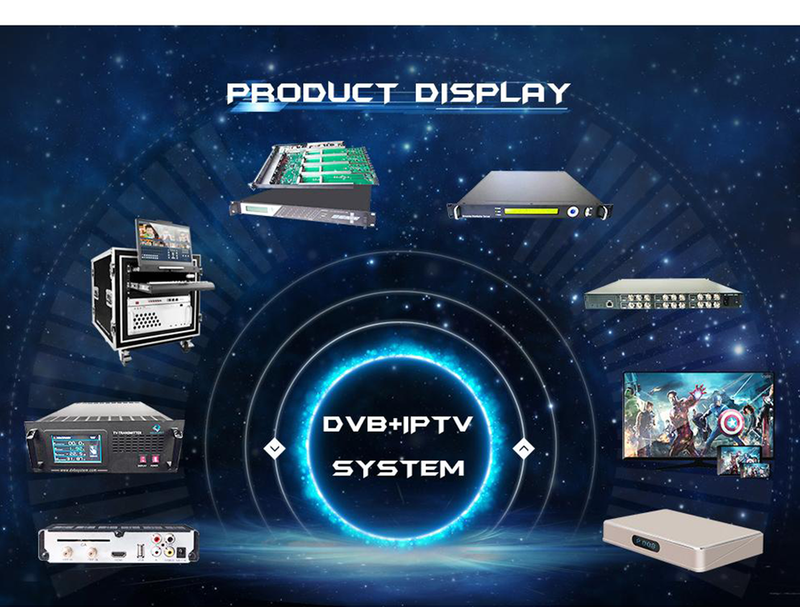 We are cooperating with the University of Electronics Science and Technology of China to develop and manufacture a complete DVB System (including digital cable TVs, as well as digital MMDS transmitting systems) and we already manufacture several unique products in this area. We are specialized in providing turn-key solution for Cable System, Satellite Uplink (DTH) System, and all kinds of wireless transmission system, especially two way MMDS system, DVB-T2 system, and KU Band MVDS system. Up to now, we have built more than 50 wireless, cable and satellite uplink system in about 30 countries, such as Djibouti State TV Station, Mongolia Local TV Station, Somalia Hargeyas TV Station, Sierra Leone Capital CCNTV, Nepal AVENUES Satellite Channel, Philippine OLD PATH Satellite Channel, etc. "Growing up with customer"is the philosophy we are insisting. The relationship between TELECAST and her customer is not only trade. We invest and cooperate in system construction with many operators, both domestic and overseas, which brings not only profit to our customer, but also more wonderful and cheaper programs to local people. Meanwhile, the news media of local government has been effectively improved by this way. We are expecting to cooperate with you!